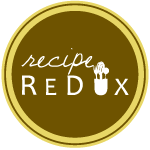 I am a Boston-based registered dietitian (RD) with a passion for cooking and trying new recipes. By day, I am a Clinical Nutrition Specialist at Boston Children’s Hospital’s Optimal Weight for Life (OWL) Program, working with children and parents toward healthful goals. In my free time, The Guided Bite Blog is my canvas for discussing nutrition news, and making it digestible. In addition, I will explore delicious, healthful recipes that I hope you will try. I am also guilty of blogging about my dear little man, Flynn (the most handsome Westie in the world). Please visit my website for more information about nutrition counseling services. Stranger! Glad to see you’re blogging….how are you?! What are you up to these days? Email me an update 🙂 Happy Thanksgiving! I like the name of your blog “The Guided Bite”. So appropriate.